The Lagos State Police Command has arrested a suspected notorious cultist, Abdullahi, aka Tiny, who operatives described as a serial killer. Also arrested were three of his accomplices, who were allegedly involved in several murder cases. The name, Tiny, sent shivers down the spine of residents of Satellite Town, but his reign of terror came to an end as he was smoked out of his hideout in the Ijegun-Egba area of the town shortly after a midnight attack. He was picked during an operation led by the Divisional Police Officer of Satellite Town Division, CSP Chike Oti, to rid the community of the violent activities of criminals. 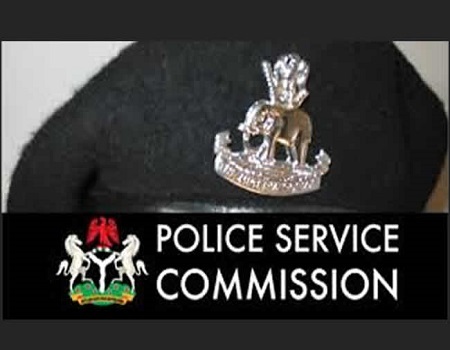 The state police spokesman, DSP Bala Elkana, who confirmed the arrest, said: “The Commissioner of Police, Zubairu Muazu, had charged Area Commanders, Divisional Police Officers (DPOs) and Tactical Unit Commanders in the state to clamp down on the members of unlawful societies and raid all identified criminal enclaves. “Based on the directive, and credible intelligence received about Tiny, who had been on the run since he was linked to the murder of three residents of the community, officers from the Satellite Division swung into action and arrested him. “He was arrested alongside one of his accomplices, Okey, 23. During a preliminary interrogation, they confessed that they belonged to a cult group, Aro-Bagger, aka Vikings. Other cultists arrested during the operation were Adebayo, 21, Akodo, 21, and Abdulwahab, 25, of the Eiye Confraternity. “Muazu directed the Homicide Section of the State Criminal Investigation and Intelligence Department (SCIID), Panti, Yaba, to take over the case involving the said Tiny, which has to do with an ongoing investigation on the three murder incidents linked to him. The other suspects were transferred to the command’s anti cultism squad for further investigation.